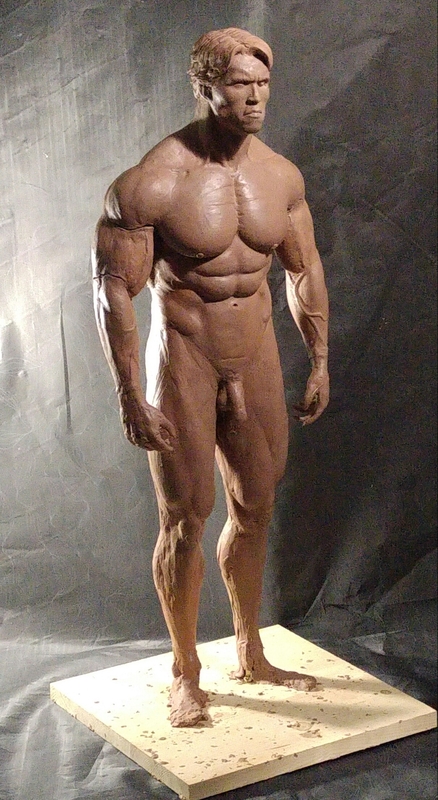 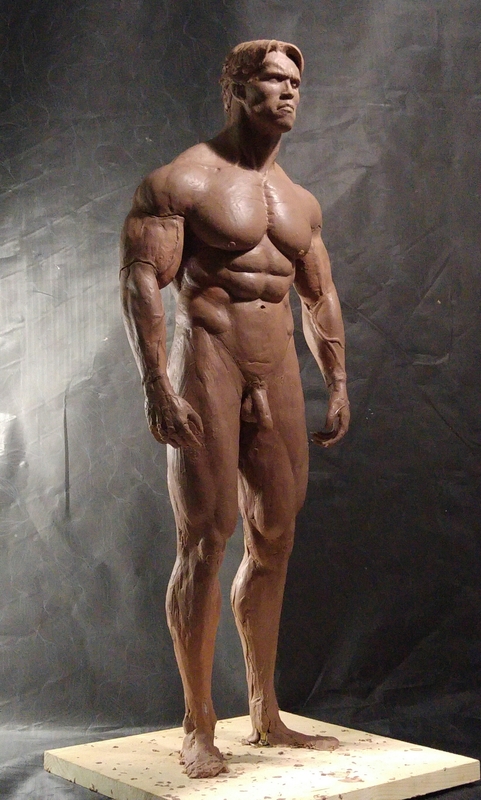 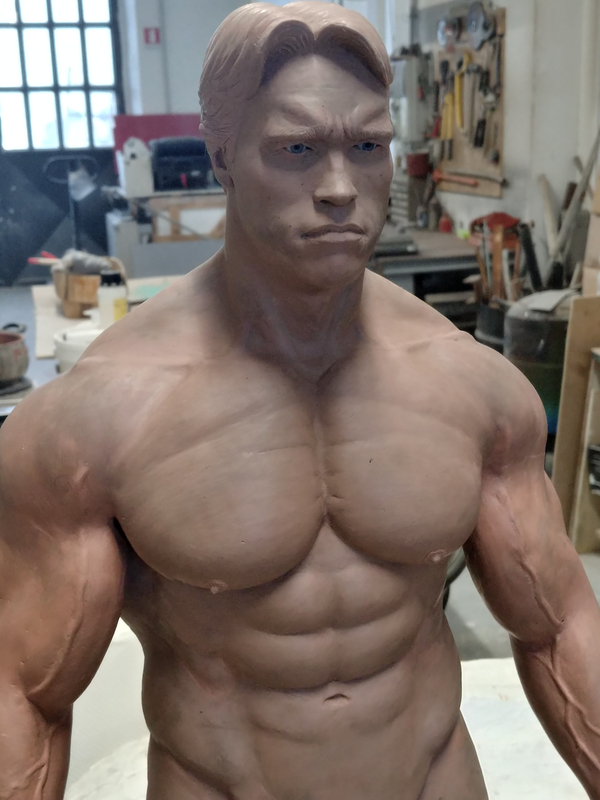 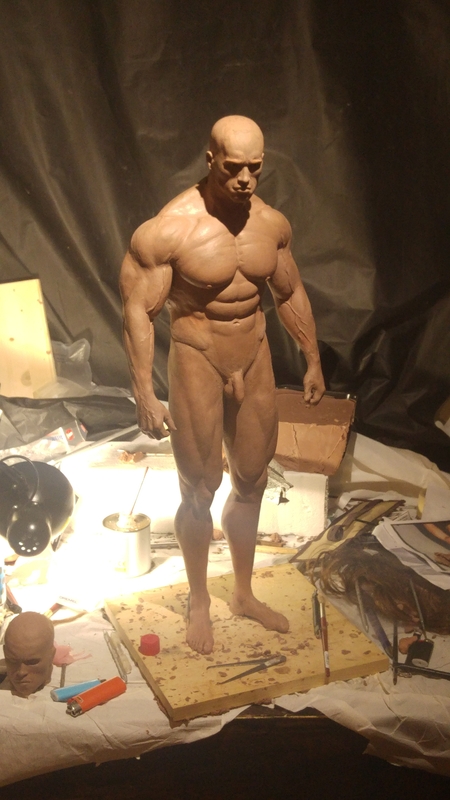 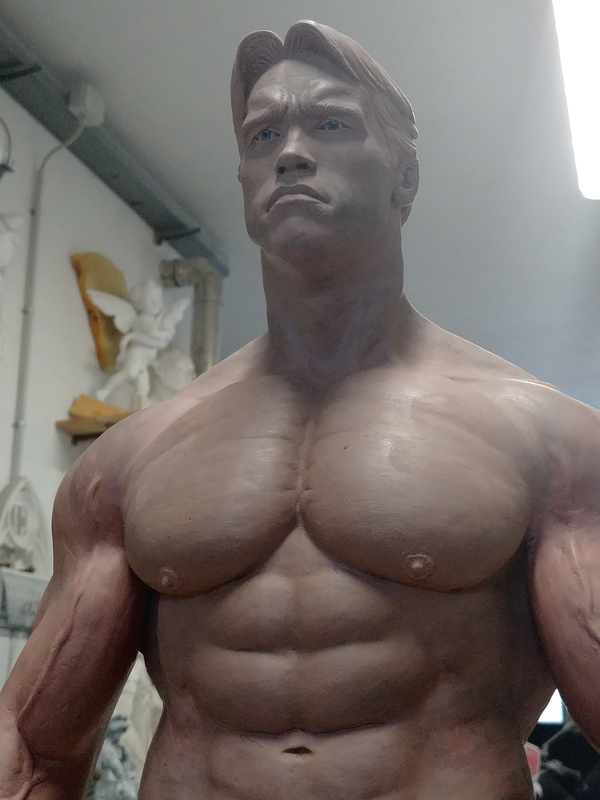 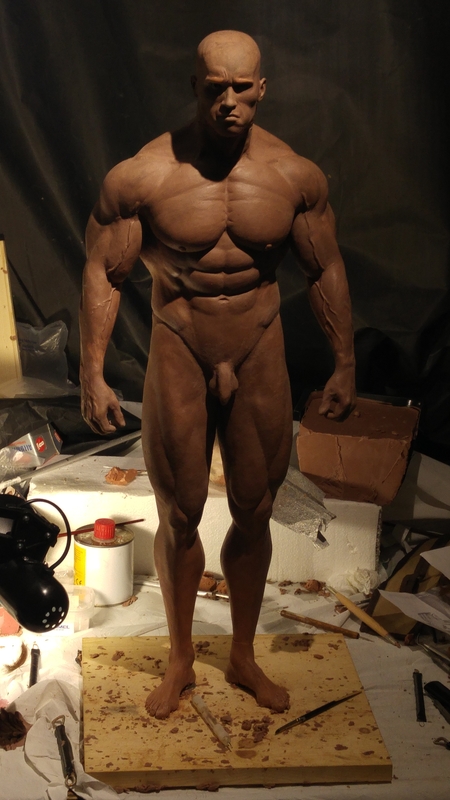 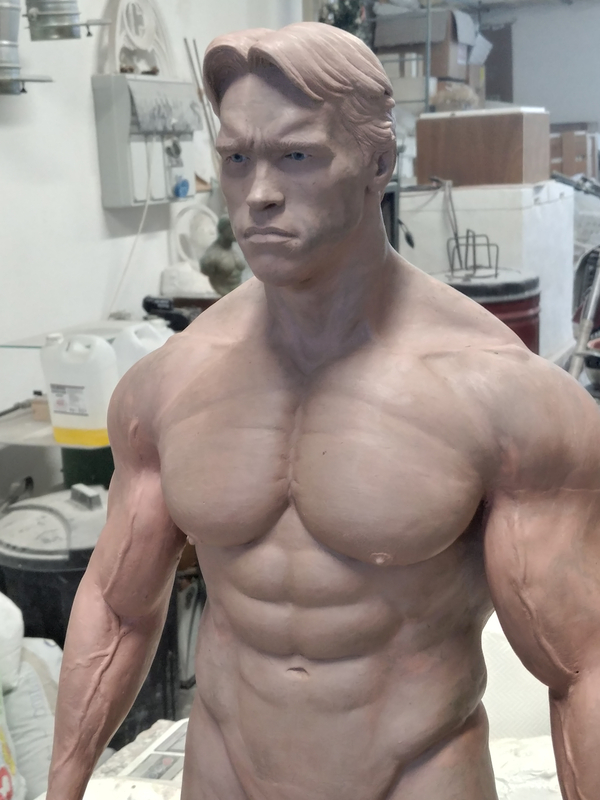 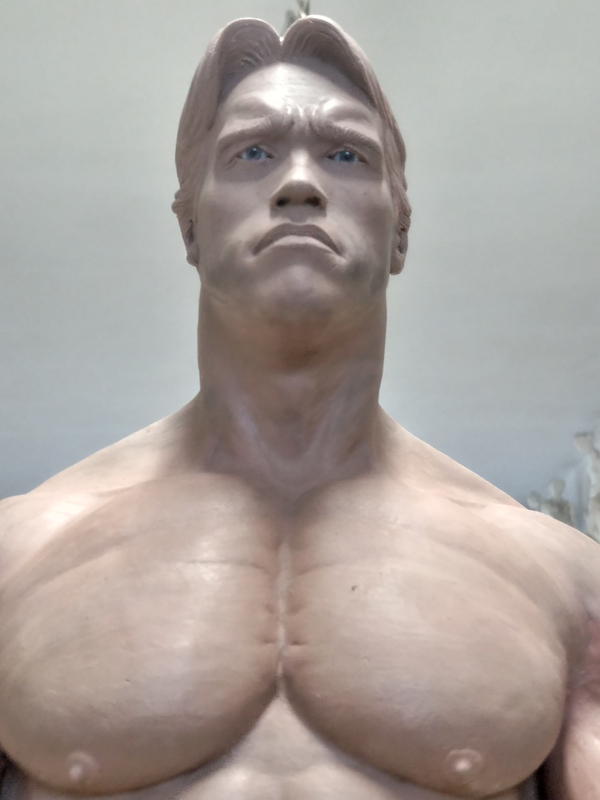 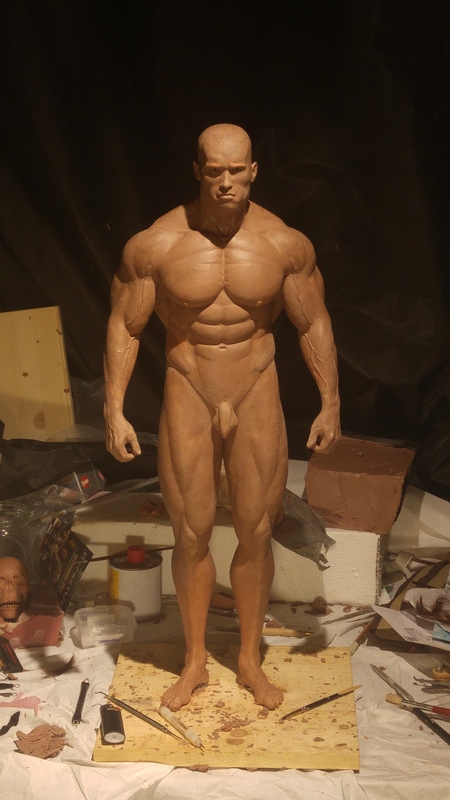 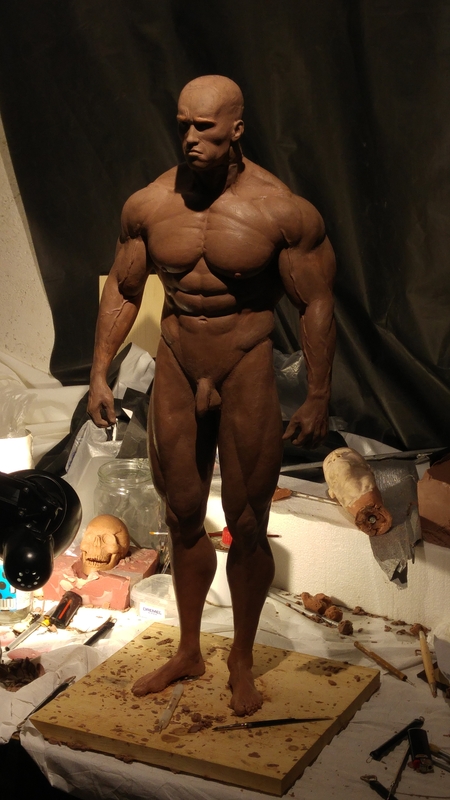 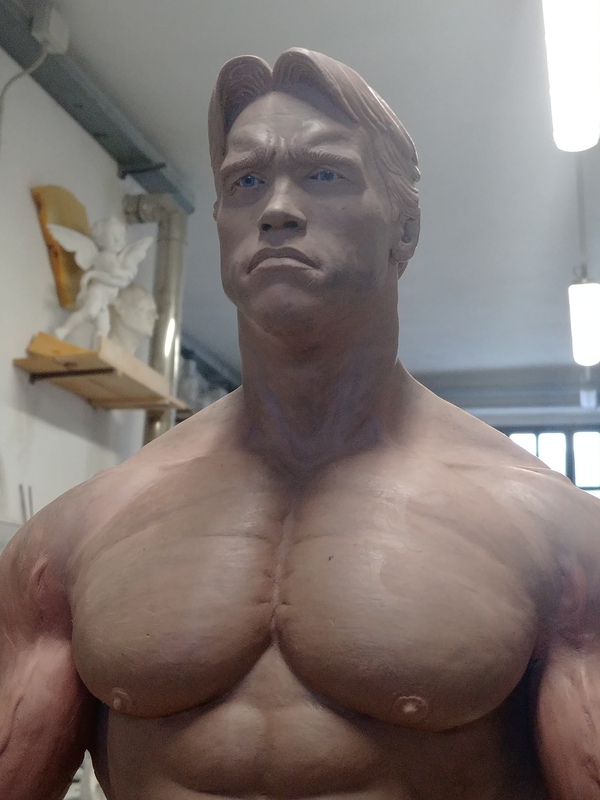 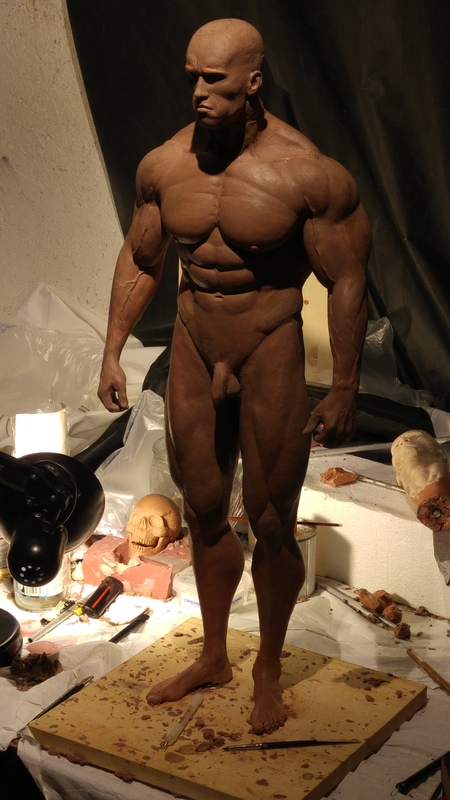 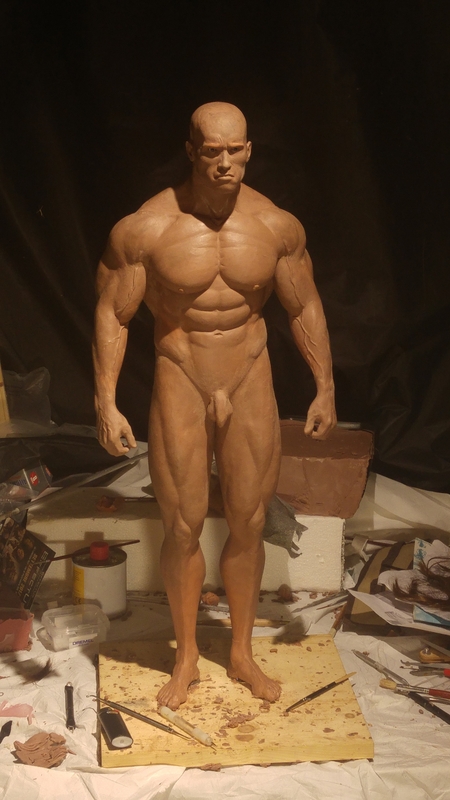 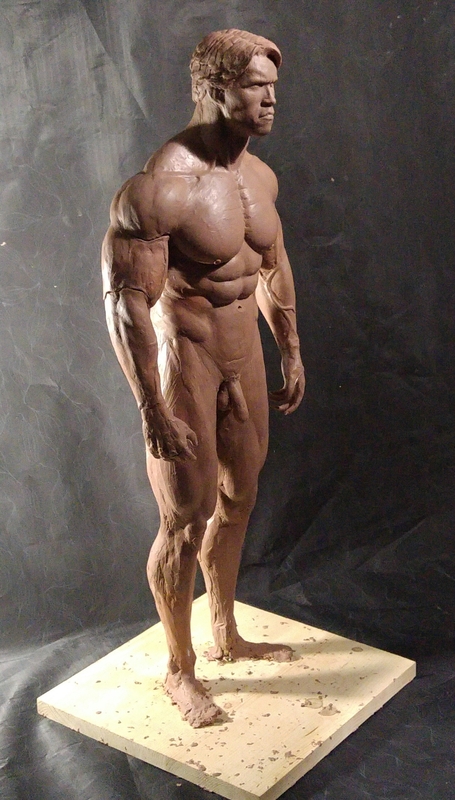 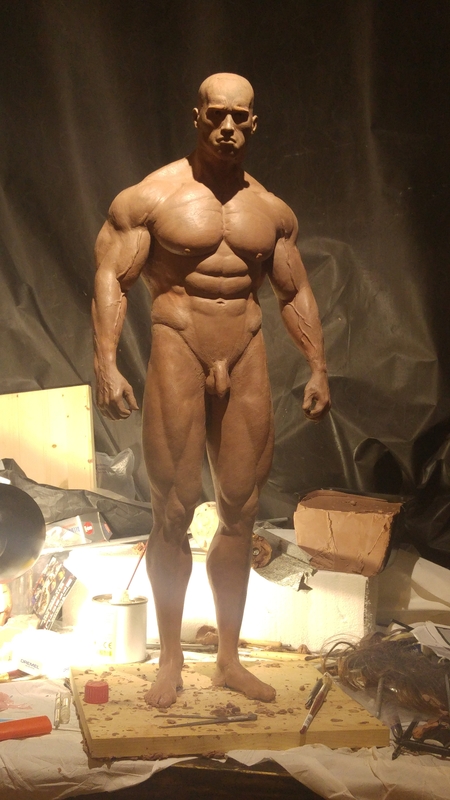 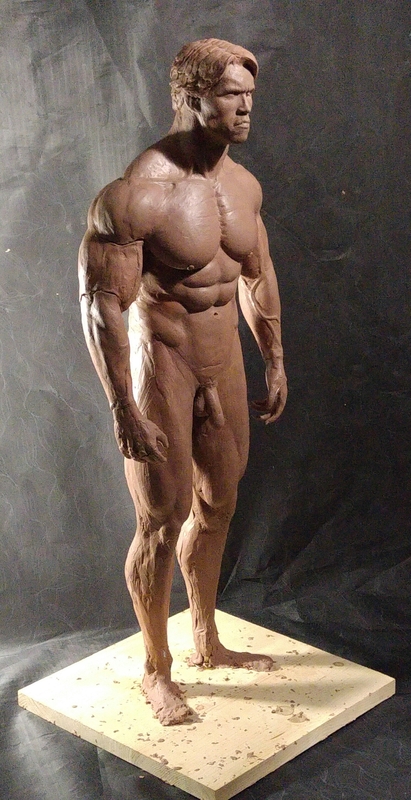 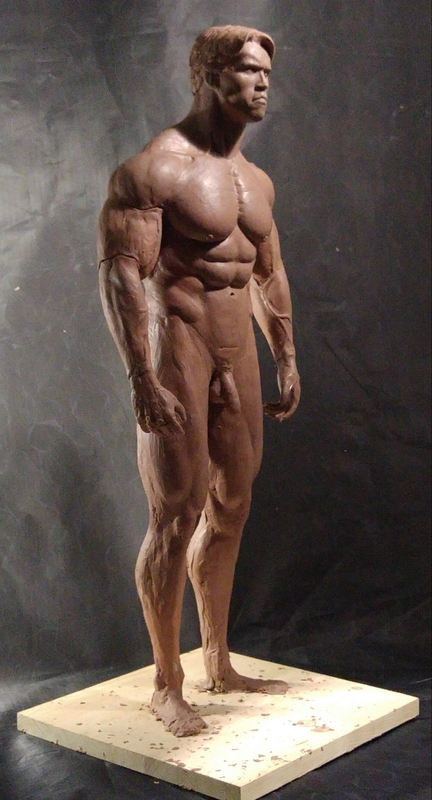 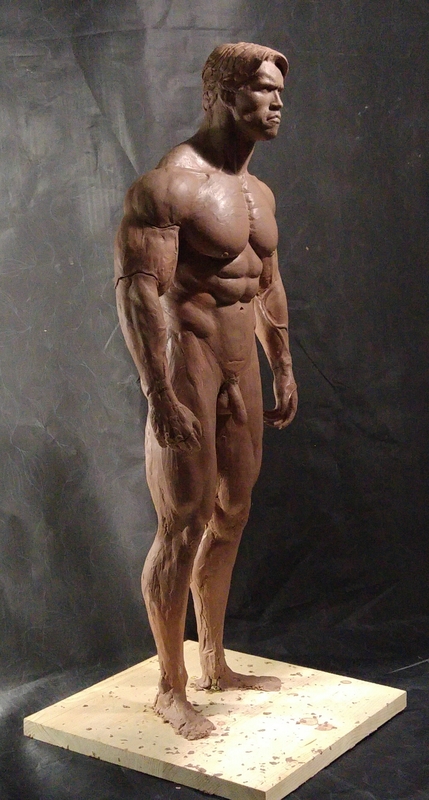 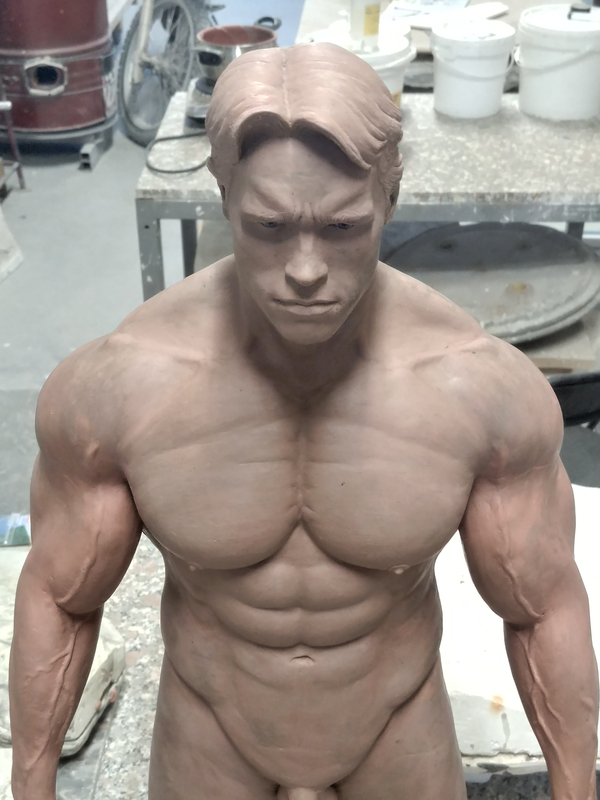 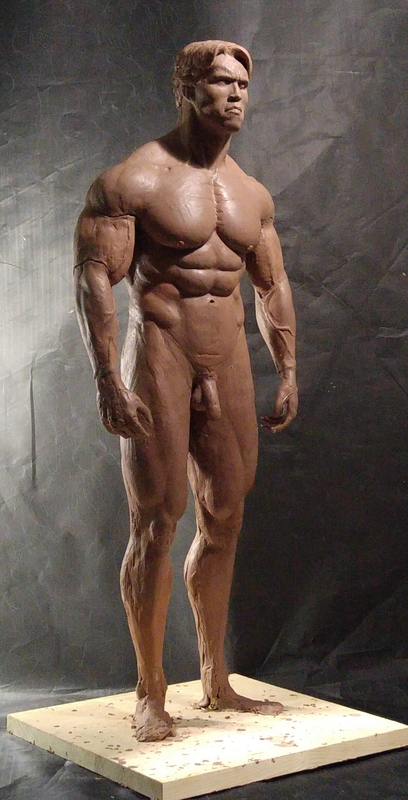 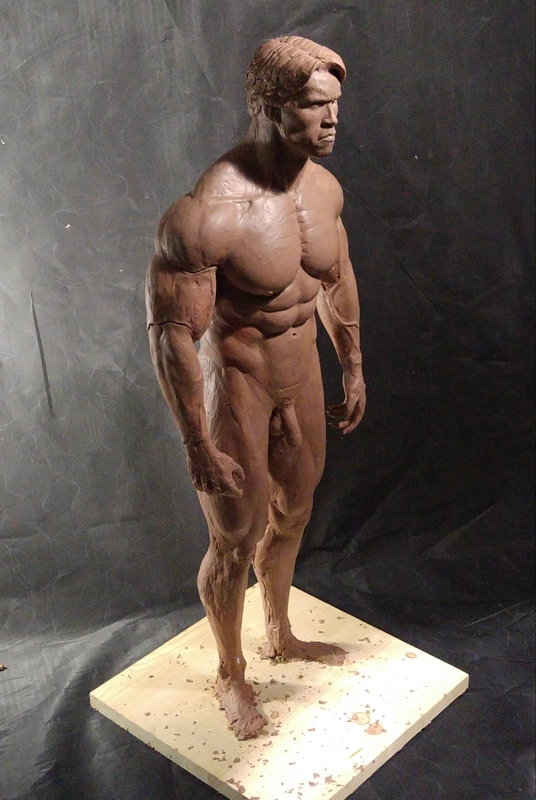 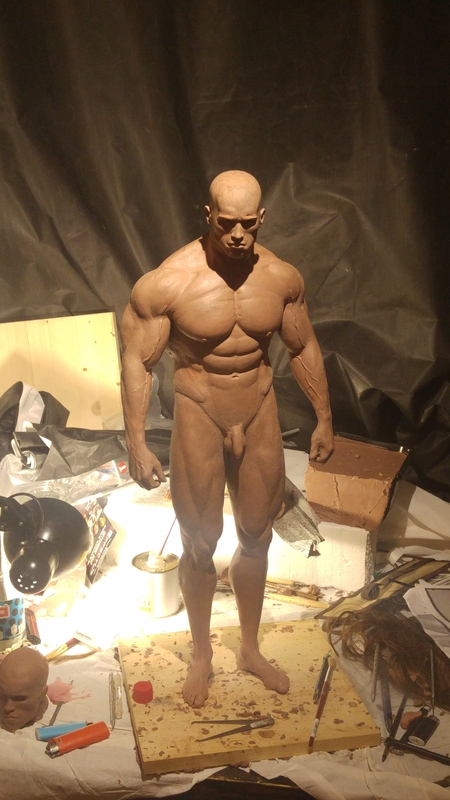 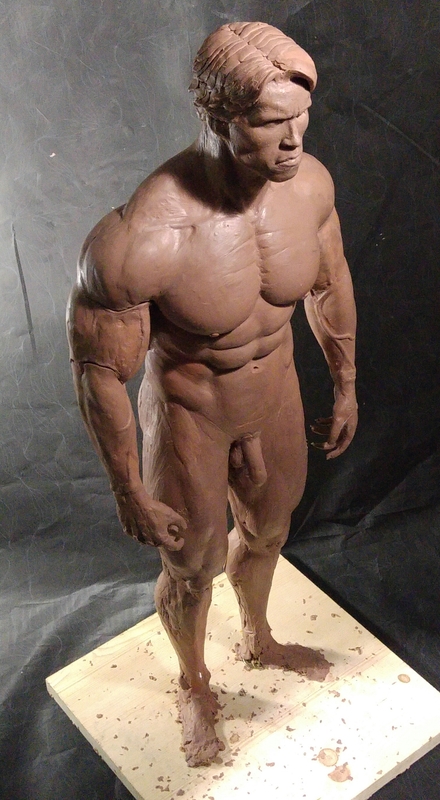 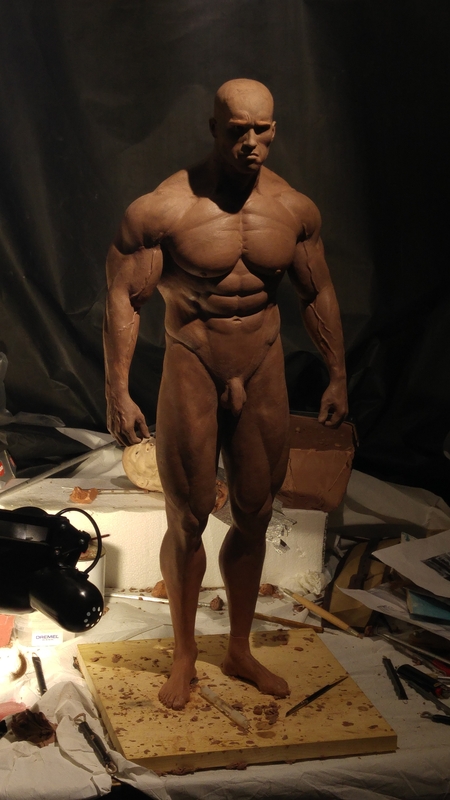 Hello guys, I'm new in this forum and I am really excited to have found this place where I can show my work.This is my project, third scale terminator's statue i'm currently working on. 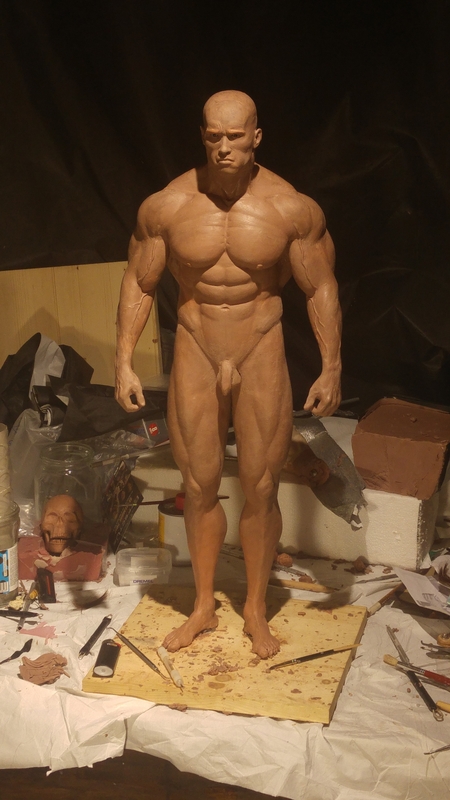 I'm satisfied of proportion at this point, now I have to go to the finish. 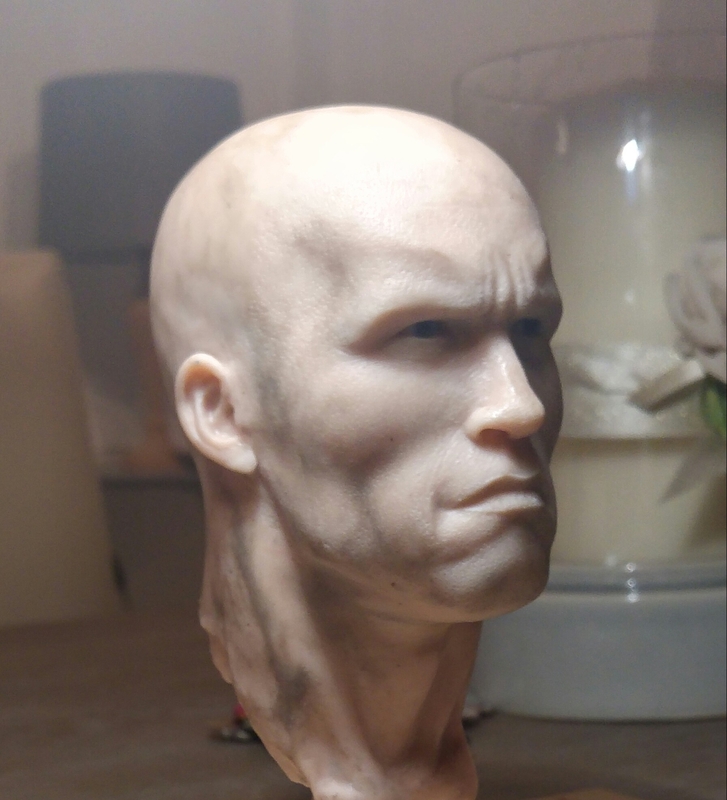 I have some doubts about how to make the mold, different materials are available to me to do it but I am a beginner and would like some advice from someone more experienced. 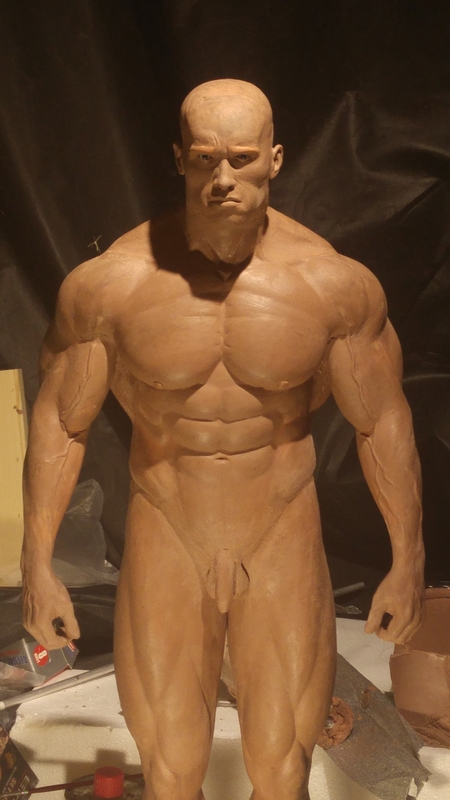 The materials that I have for the mold are: silicone rubber platsil gel 10; thixotropic synthetic gypsum; glass fiber. 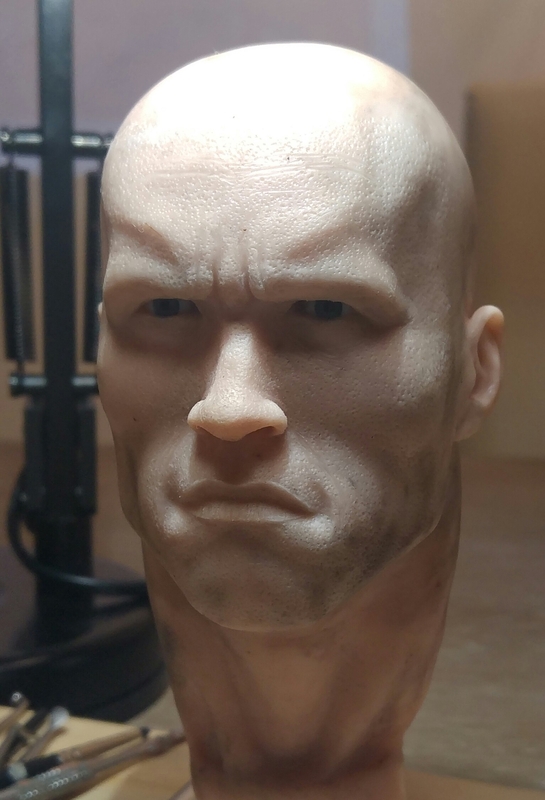 Great job on the likeness! 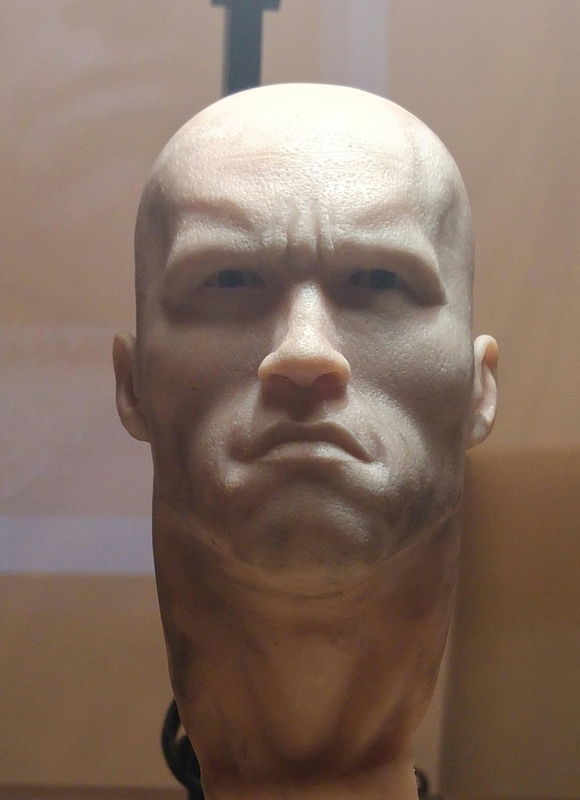 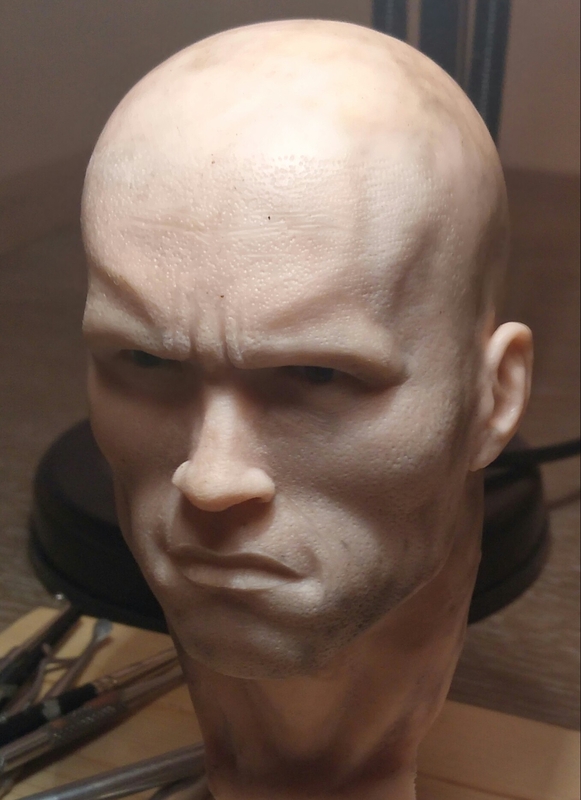 Is the separate head sculpt done in wax? 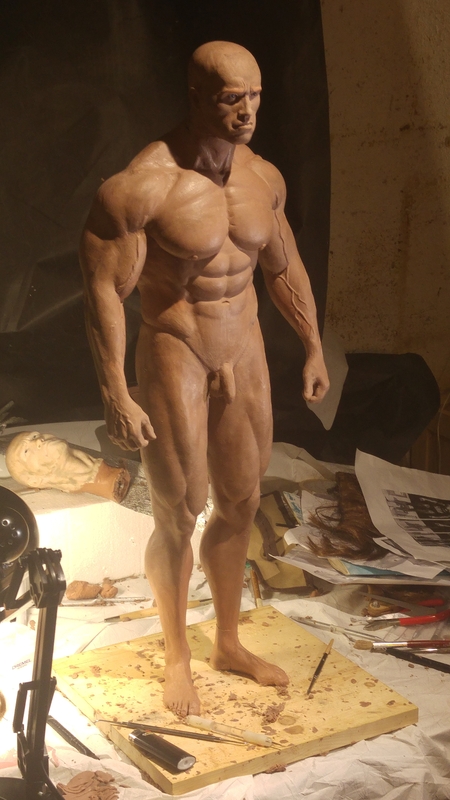 The sculpture is finished, here some photos! 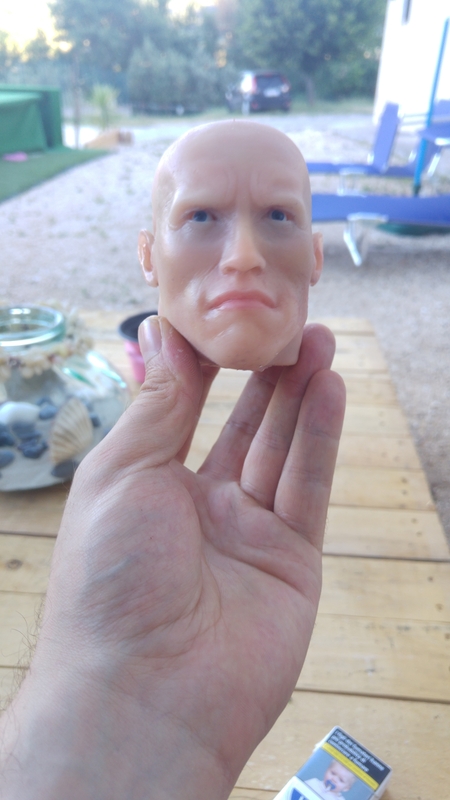 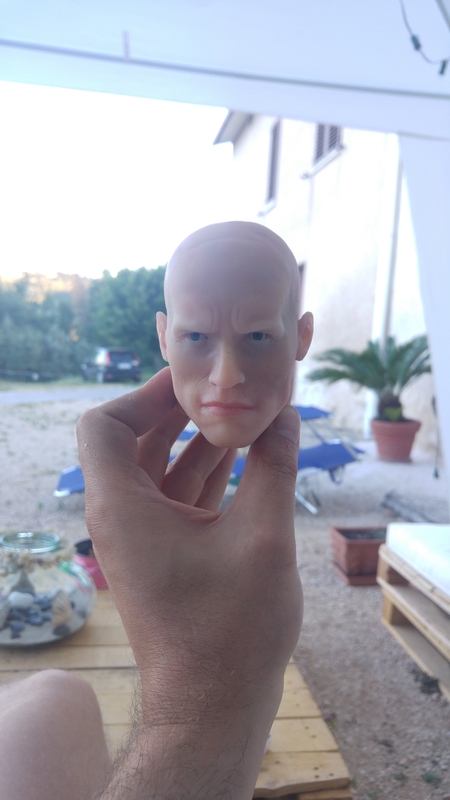 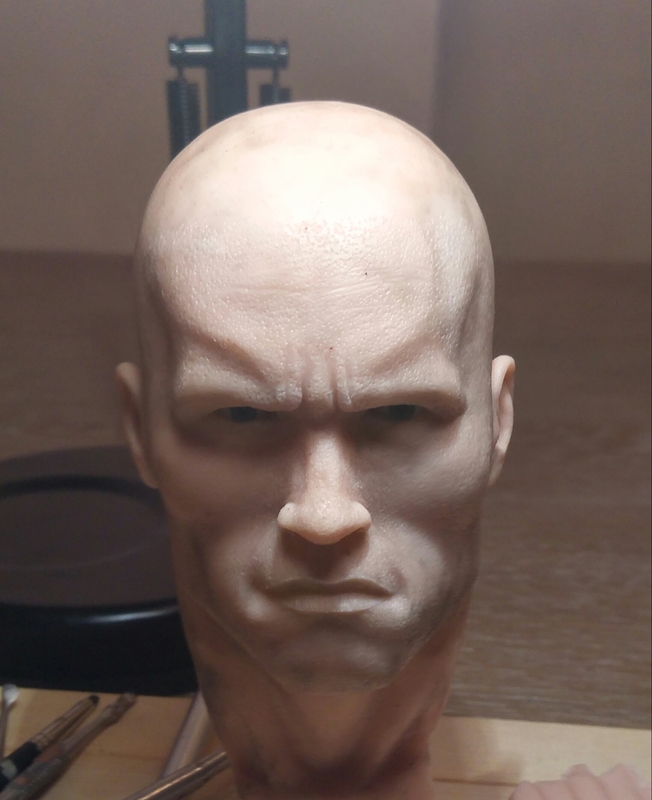 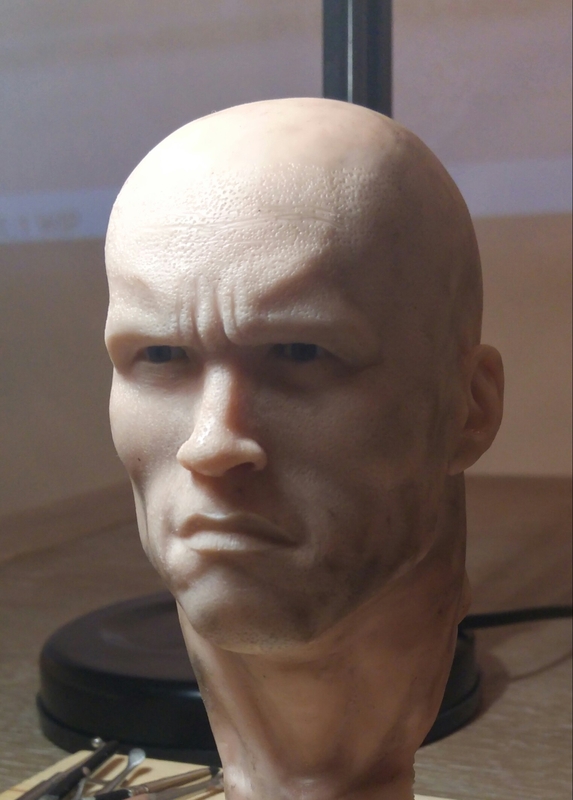 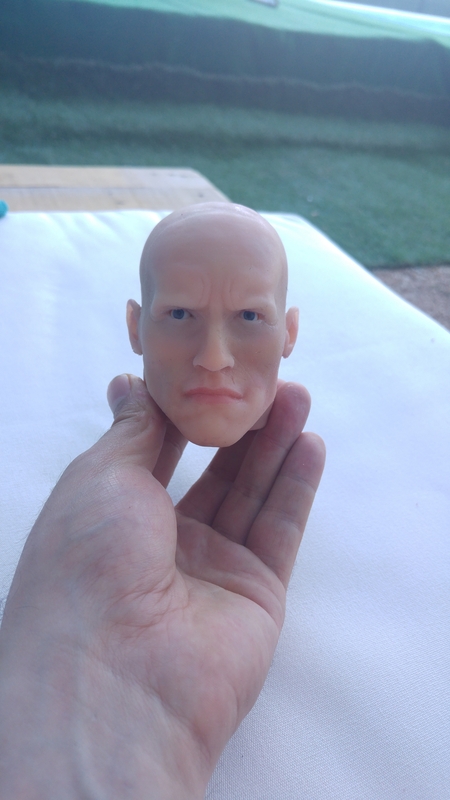 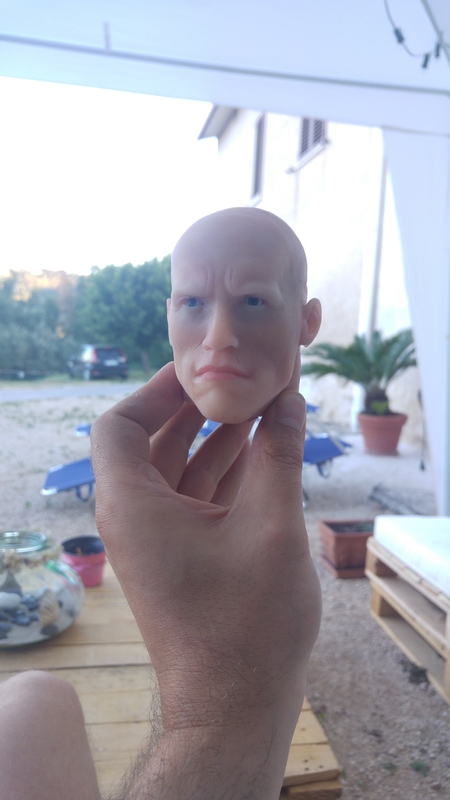 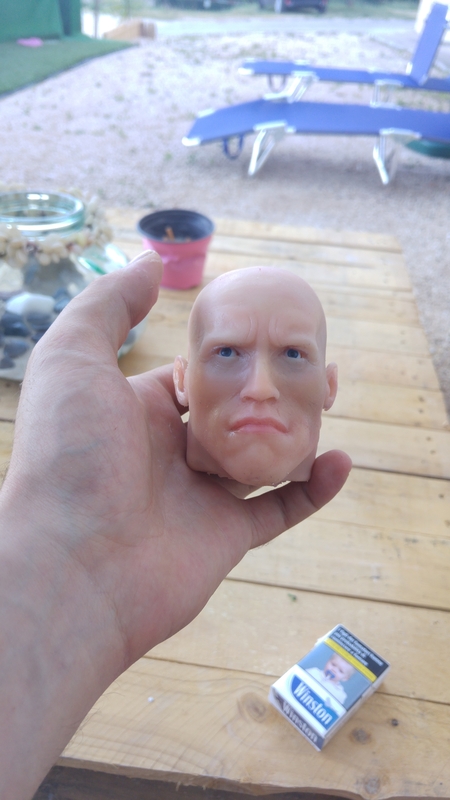 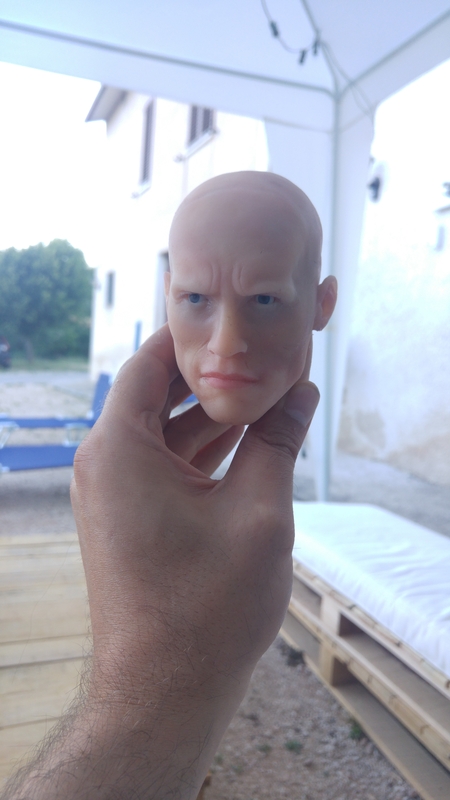 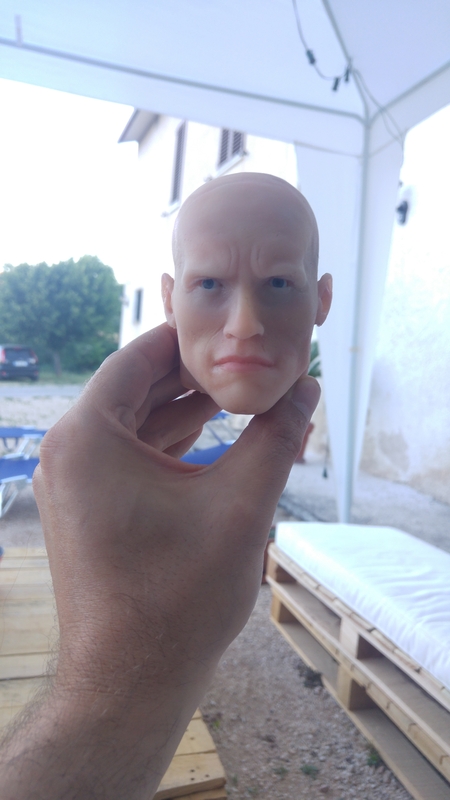 Hi guys, here are some photos of the first prototype of the painted silicone head, let me know what you think about it! 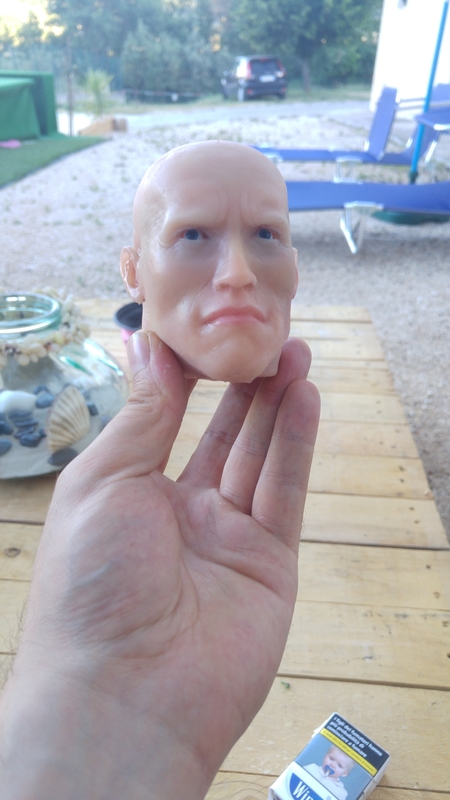 Silicone head is looking great!